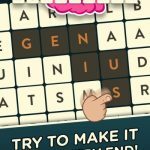 WordClub is the perfect blend of word game and puzzle. 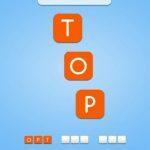 And while we generally consider these one and the same, with word games being a type of puzzle game, we can’t argue with how addictive this game could be. 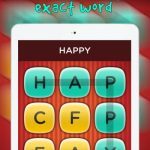 The premise here is that you will have to swipe your finger across the letters, forming words as you move in all possible directions to solve the puzzle. There are hundreds of levels that could keep you occupied for hours, while building your vocabulary and enhancing your puzzle solving skills. The best way to play these games is to play them without the help of any crib sheet, any answer key, or whatnot. But what if you’ve been staring at the puzzle for ages or trying to replay it and solve the puzzle, but to no avail? That’s where we’re going to come in, as we shall now be bringing you a complete set of WordClub answers and solutions. This is going to be a rather basic one, but we do promise you more than your fair share of answers, as we shall be covering all levels of the game. Read on for some “emergency” assistance, but don’t read this bad boy from start to finish!